New Delhi, Oct 31 (IANS) An environmental authority on Tuesday denied permission for the use of a diesel generator to operate the flood lights for the T20 international cricket match between India and New Zealand at the Firozshah Kotla Stadium on Wednesday evening. The Environment Pollution Prevention and Control Authority (EPCA) said the cricket board won’t get any exemption from the ban on diesel gensets in Delhi-NCR that came into force a day before Diwali after the air quality in the national capital fell to alarming levels. The environment authority, formed by the central government following Supreme Court orders in 1998, directed the power department to provide connection to the stadium within 24 hours for an uninterrupted cricket match. Sunita Narain, head of the Centre for Science and Technology (CSE) and member EPCA, told IANS that she was surprised to know that the Delhi District Cricket Association (DDCA) or the BCCI had never applied for a proper power connection and had been using the flood lights with diesel generator sets. She said Delhi had surplus power and thus the use of diesel generator sets did not arise. 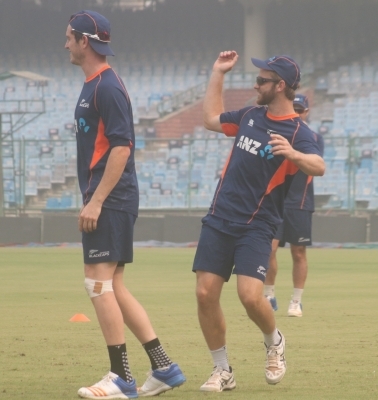 India and New Zealand face each other here for a T20 match between 6 p.m. to 10 p.m. on Wednesday. The DDCA had asked for exemption to be allowed to use the diesel generator sets to operate flood lights.